"The Daily Examen is a technique of prayerful reflection on the events of the day in order to detect God’s presence and discern his direction for us. The Examen is an ancient practice in the Church that can help us see God’s hand at work in our whole experience." 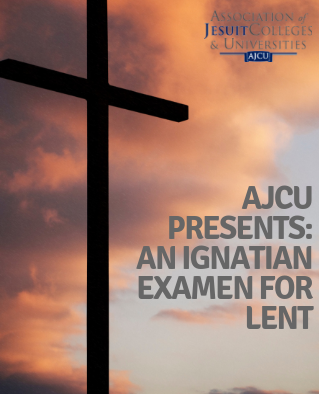 AJCU's Vice President & Consultant for Mission Integration, Dr. Stephanie Russell, has recorded an audio version of the Examen that you can listen to online. Dr. Russell regularly directs retreats, writes, and speaks on Ignatian themes across the country.